As the third and final day of the teachers’ strike began in Banning, the community that has supported their classroom teachers in earnest these last two years determined they would send their own message to Banning’s school board. Their efforts helped Banning Teachers Association members to win a settlement that exceeded their expectations. On the picket line Friday, news that some parents had organized and planned a march to the school district spread throughout the morning. 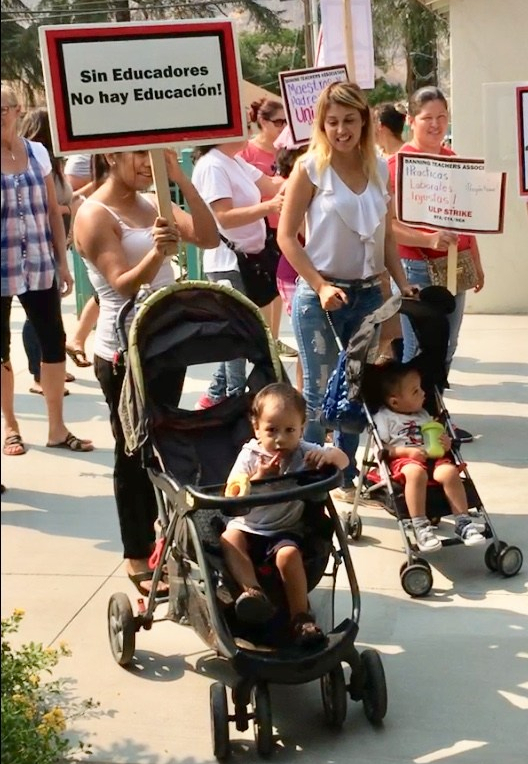 At 10 a.m., scores of frustrated residents and parents marched to the district office and demanded to speak with Superintendent Guillen about ending the strike and addressing long-term concerns that have caused division in the school district. As the protesters moved from the parking lot to the district office grounds, they were greeted by a security officer who explained that their chanting was inciting fear inside the building. Parents respectfully moved to the curb to continue their action. Superintendent Guillen left the office earlier in the morning and was unavailable to talk to the protesters. After additional minutes of organizing, Banning school board member Alfredo Andrade came out to address the crowd. Parents expressed their ongoing concerns directly to the board member about the leadership of Guillen that has caused so much division. Teachers altered protest signs on day 3 at each school site, making sure they included messages thanking the parents and community for their patience during the strike. Starting Monday, teachers will return to class with the unfair labor practice battle behind them. They have collected hundreds of parent and community member signatures and surfaced several legitimate future school board candidates who are ready to continue to support the improvement of schools in Banning Unified School District. Settlement details include $300,000 in back pay for all teachers at Nicolet Middle School for additional hours worked last year. 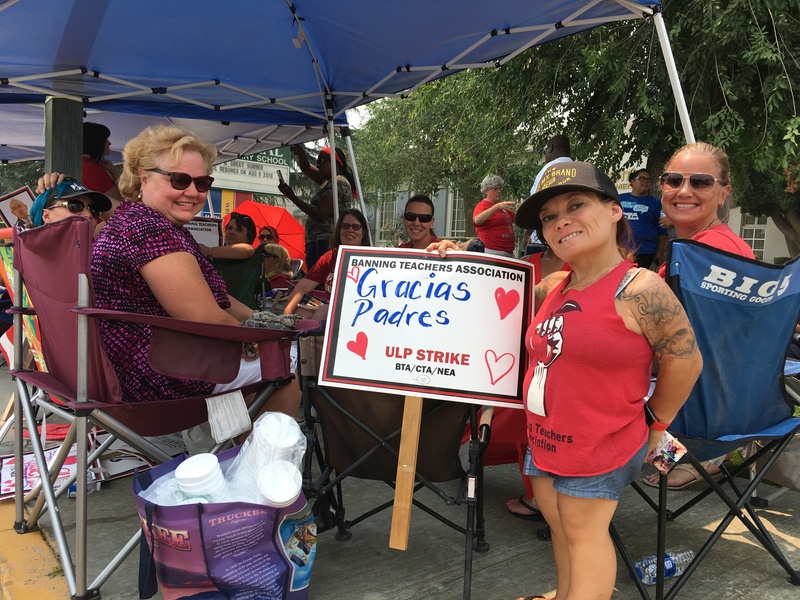 The district also agreed to make financially whole every BTA member who took part in the three days of the strike and promised no retaliation to any employee who participated. SMART hours were also eliminated, and middle school members agreed to an additional 20 minutes of instructional time each day. BTA will withdraw its unfair labor practice charge. Congratulations to all stakeholders for the successful conclusion of their job action.